At Maple Valley Vision Clinic, we dedicate our practice to providing the utmost in quality medical eye care, vision care and preventive treatment. We will strive to maintain the highest levels of service, technology and training to keep our patients seeing their best throughout their lives. We have been servicing patients in the Maple Valley, Black Diamond and Covington, WA areas for over 40 years! Big City Technology, Small Town Service! Learn more about our digital hearing instruments. Dr. Scott Bennion has been practicing optometry and living in Maple Valley since 1976. He and his wife Debra have a blended family of 7 children and 17 grandchildren. 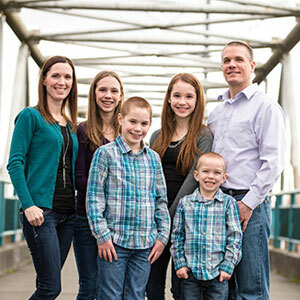 Dr. Ryan Bennion was born and raised in Maple Valley. He graduated from Tahoma High School in 1996. Following high school he spent two years in Ecuador, South America serving a mission for the Church of Jesus Christ of Latter-Day Saints.